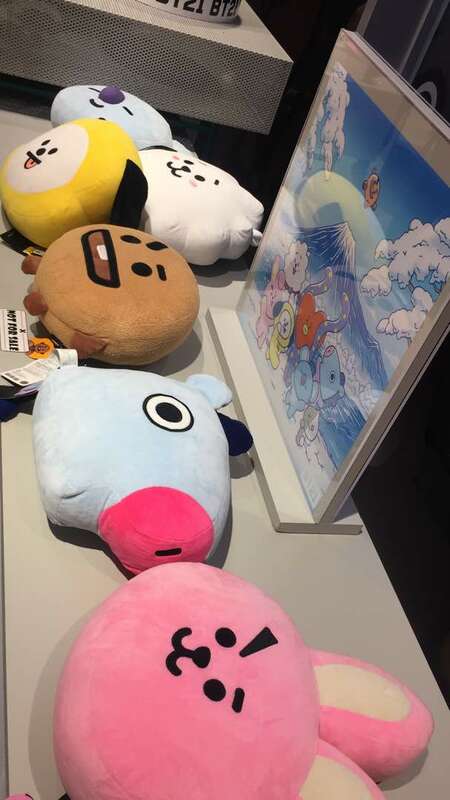 My friend went to Japan last week and I ask her help to buy Koya plushies from Line Store but I'm not lucky. 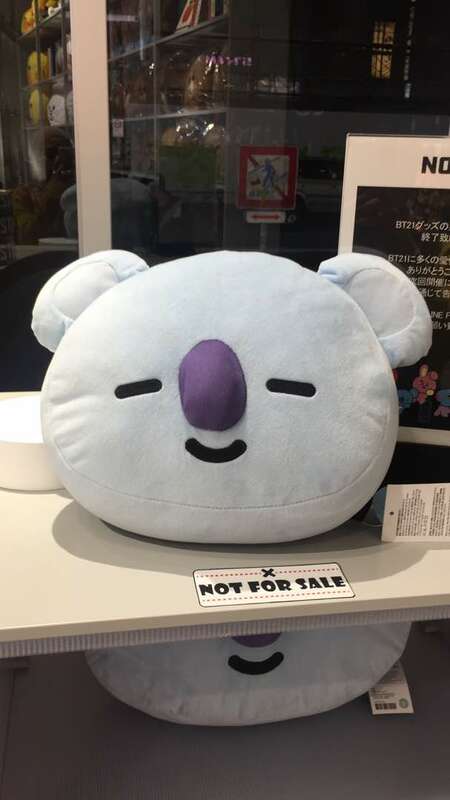 She said when she arrive, the last Koya was sold out. So instead of getting the plushies, she sent me the photos. I guess I need to wait until Amazon to restrock. Koya is so cute. RJ and Cookies too. I think all of them are cute. 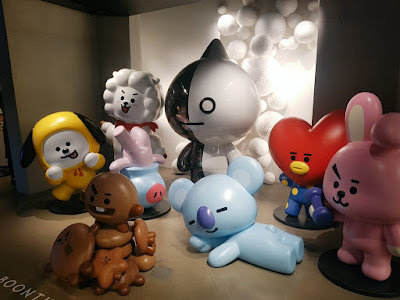 BT21 is a collaboration of BTS with LINE, a messanger app created by Japanese subsidary in South Korea's Naver Corporation. BT21 consist of eight animated characters designed by the BTS members. 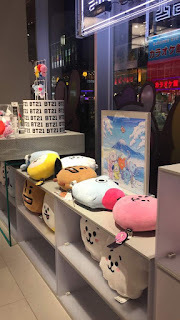 The eight characters are Koya, RJ, Mang, Chimmy, Shooky, Tata, Cooky and Van. 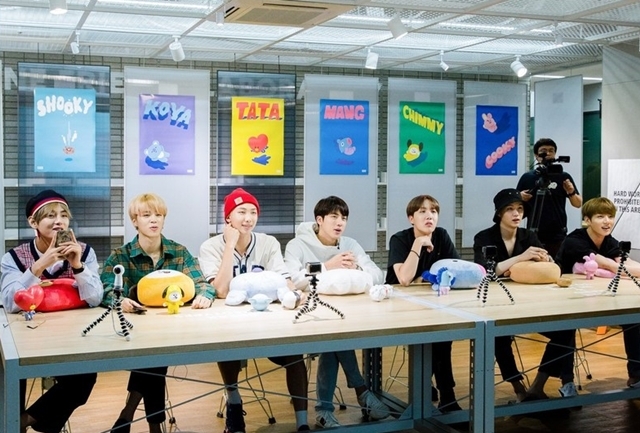 This picture is during the BT21 debut. 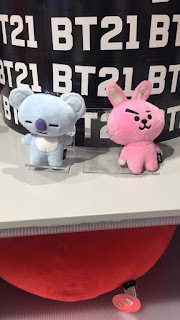 You can read more about BT21 from BillBoard post. Do you have one? 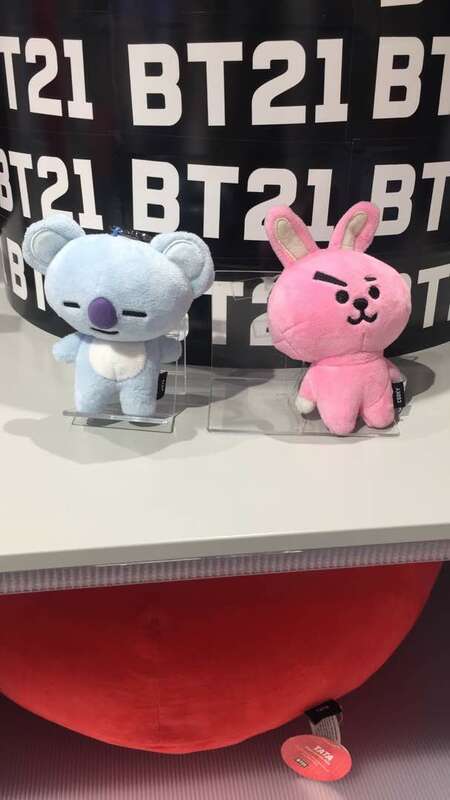 Which one do you have and which one do you think the cutest? For me is Koya and I want to get all of them. You can survey the price of the plushies from their official Line website. Well, other than plushies, they also have cute stationary, shirts and other cute stuff. They are so adorable. Check them out! The videos too.